Developed International Relationships for Cheltenham including hosting Hugh from VisitBritain China office, and supporting international tour operators as part of the Discover England Fund Fam Trips. 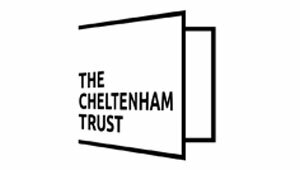 Organised itineraries for and hosted journalists and influencers from 11 publications ahead of a push to make Cheltenham a 2019 short break and Staycation destination. Progressed an upgrade to the online booking system for the website and a host of new website features. Both are designed to improve the user experience for those on our site, as well as increasing the member benefit through enhanced exposure and referrals. These developments are in stage one and are due for completion and roll-out in early 2019. Implemented and tested a new Facebook Messenger feature for a Christmas competition. The feature is designed to automatically engage competition entrants and promote key events and things to do in the town over the Christmas period. The experiment will run until the competition closes on 20th December when we decide whether this will be a core part of our offering, but by the end of November there were 1,763 subscribers with 250 requesting more information on specific festive events. Rolled out the first half of our Festive advertising campaign with bus sides and print adverts, as well as the initial digital adverts across social media channels. The campaign will spend £25,000 by its completion date at the end of December when full results will be revealed. Held meetings with major regional transport providers and hubs, including Bristol Airport, National Express and GWR. The ambition is to improve communication and exposure for Cheltenham via these channels to help drive visitors into the town. Cheltenham Christmas Markets which has reached 268,200 people so far and has had over 12,000 people register their interest. Advertising accounted for 11,093 reach and 485 responses. Christmas Light Switch On which has reached 124,200 people and had 4,900 people register their interest. Advertising accounted for a reach of 13,118 people and 433 event responses. Late Night Shopping dates in Cheltenham which has reached 56,300 people and had 2,000 responses. Some promotional spend was assigned in November, accounting for 7,985 reach and 78 event responses, with more spend due in December. Arts & Crafts market dates in Cheltenham which has reached 40,800 people so far and had 2,000 responses. These stats are totally organic, and promotion of this event will start in December. Securing press coverage of Cheltenham via our support of journalists which reached 393,299 people nationally in September as well as over 400,000 through international titles including China News Weekly and FT China. Welcomed our new members on board including Jaguar Landrover Experience, Glos.info, Beards Jewellers and Dunkertons Cider.